NJASL is using Smore newsletters to spread the word online. October is a beautiful time of transition, as the leaves change and strike bold colors. At school, you may be experiencing a new administrator, new students, or new curriculum. I love October because I feel like it’s the time when I actually begin the real work for the upcoming year. Here at NJASL we have been working hard for you too. The AASL Standards were updated in 2017, and NJASL is prepared to help all members feel more confident with this transition. On Saturday October 6, many NJASL members met to get “Up Close and Personal” with the new AASL Standards. LaDawna Harrington presented information to help develop a deeper understanding of the new standards and the symbology. 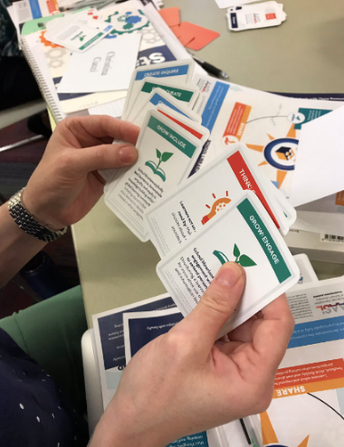 We played the AASL Standards card game, and then broke into groups to develop hands-on practical lesson plans which incorporate the new standards. 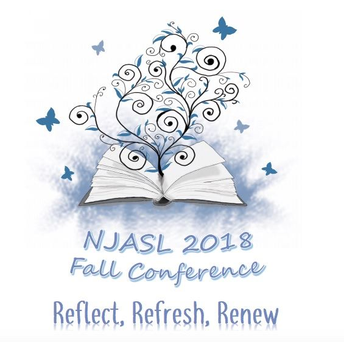 At the NJASL Conference there will be ample time, on Mon. December 3 and Tuesday December 4, to meet with one of our Trainers to help you with the new standards. Bring your lesson plan ideas to conference, and someone will sit with you individually to show you how the new standards fit in. I want to personally thank LaDawna Harrington, for her work on this team, and Conference Chair Jill Mills, and her conference team, for supporting this important work. 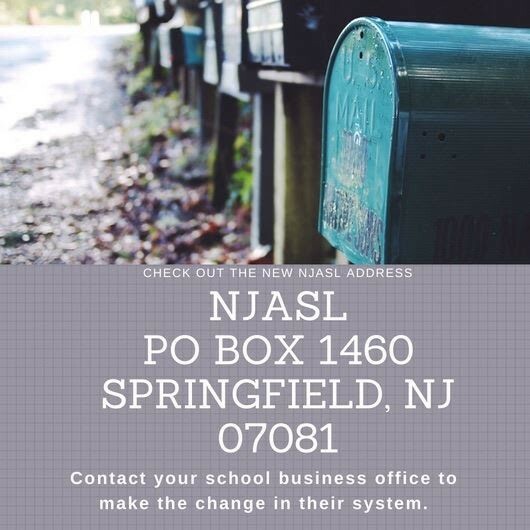 NJASL's mailing address has changed. Please send our new address to your business office so that your purchase orders for membership and conference are sent to the correct location. NJASL Discussion Group is Moving!!! Our NJASL Discussion Group will be transitioning from our current host Yahoo, to Google Groups. 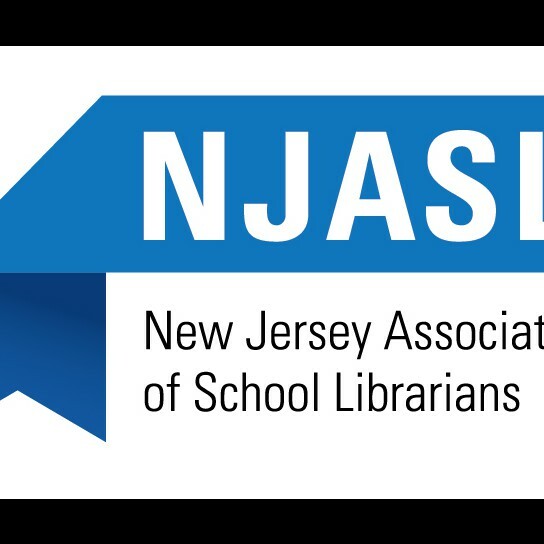 Our focus will remain the same, to engage, share and learn from each other, and to advocate for School Library Media Specialists especially in the state of New Jersey. The group is all set up and ready to go. You can email njasl-members@njasl.org to request membership, or you can email me at edl@njasl.org to add you to our new list. Our Yahoo group will remain until all of our members are moved over to Google groups, so do not fear missing out on any discussions. We encourage you however to join now, or as soon as possible! See you on Google! Keep in mind that you can edit your Google Group settings to not receive emails daily! Look for the post including directions from Arielle in our NJASL Google Group! A1995/S2394: Requires a certain ratio of school library media specialists to students. There is now a Senate bill for A1995 (formerly A4500) and currently has two sponsors, Jim Beach (LD6) and Linda Greenstein (LD14). There are new sponsors for this bill including Senator Linda Greenstein (LD14) who introduced the Senate version of this bill. Both bills have been referred to the Education Committee in their respective house. 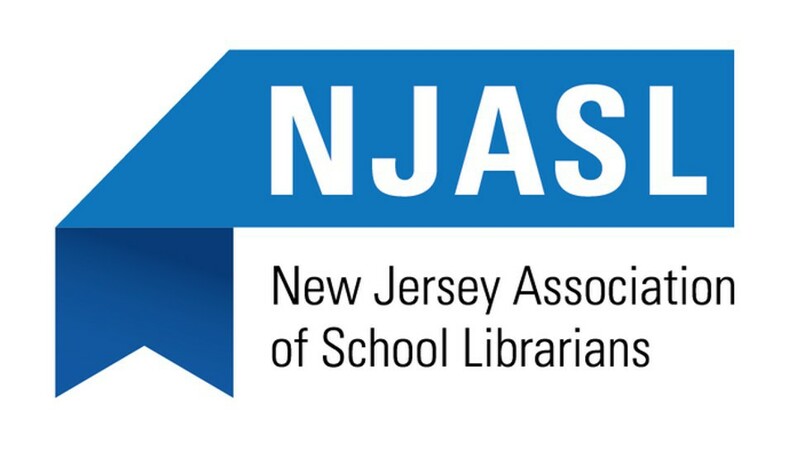 For a complete list of the bills’ sponsors and their legislative district as well as a list of the Education Committee members, visit the NJASL webpage. 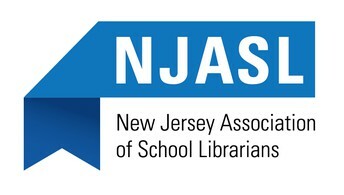 Additionally, for full information regarding the bills and talking points when speaking to legislators, check out the NJASL Library Legislation webpage, http://www.njasl.org/Library-Legislation. NJASL is planning more advocacy for both these bills but will need the support of the NJASL membership. Please take a few minutes to check out the legislators who are sponsors and/or Education Committee members to see if you either Live, Work or Serve in those communities. NJASL will need the support of the membership during the upcoming advocacy campaign. Stay tuned for more details on that advocacy action. 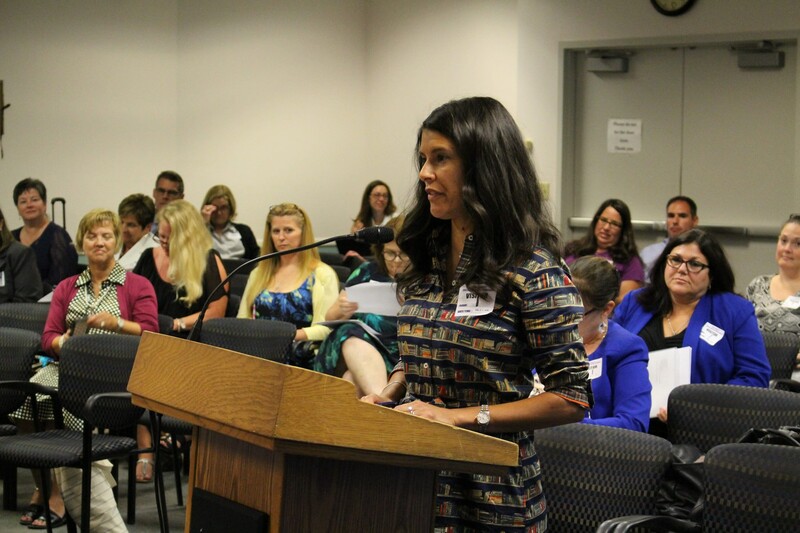 Several NJASL members either provided public testimony or sent written comments to the State Board of Education Open Topic session on September 12. President Christina's testimony included a letter of support for an Information Literacy Standard from ALA/AASL. That information is found on the SBOE webpage. The next opportunity for Open Topic Public Testimony is Wednesday, January 2, 2019. Even if you cannot attend in person, the SBOE does accept written comments. Additionally, I am available to deliver testimony in person on your behalf. 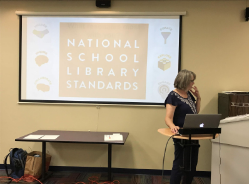 It does matter and the State Board of Education as well as members of the DOE are noticing the presence of school librarians. Email me with any questions. Alternative graduation options for those not passing state tests including certain benchmark scores on the SAT or other college-placement tests. Organizations including NJEA have not yet commented - waiting to see the specific details of the tests. 1663 - Elissa malespina # 198 (possibly pg 172?) did the DOE transpose the number? Teacher Leader Endorsement: Rule Proposal at N.J.A.C. 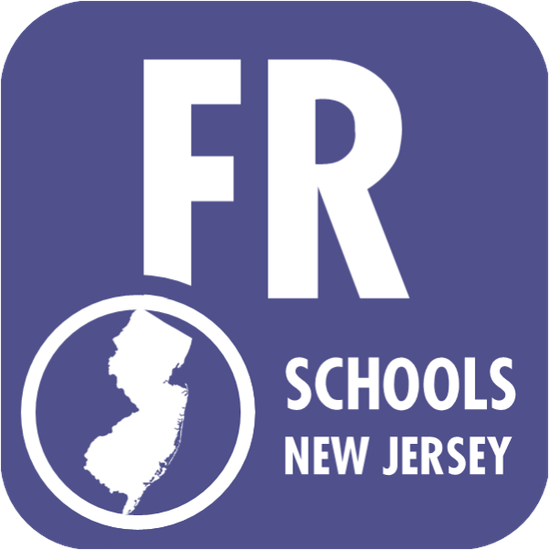 6A:9A, New Jersey Educator Preparation Programs, and N.J.A.C. 6A:9B, State Board of Examiners and Certification - Adding a Teacher Leader Endorsement to Instructional Certificates to match state law. More information on NJ DOE webpage. This is a 16-page document that clearly explains NJ property taxes including how to read your tax bill. Other terms are defined along with the different components that comprise a tax bill. Found this to be a simple explanation. The guidebook, written by Marc Pfeiffer, assistant director of Rutgers University’s Bloustein Local Government Research Center, also features a list of frequently asked questions. In this time of budget cuts and school funding challenges, having a board-approved curriculum can mean the difference between school positions that are considered vital and those that are not. 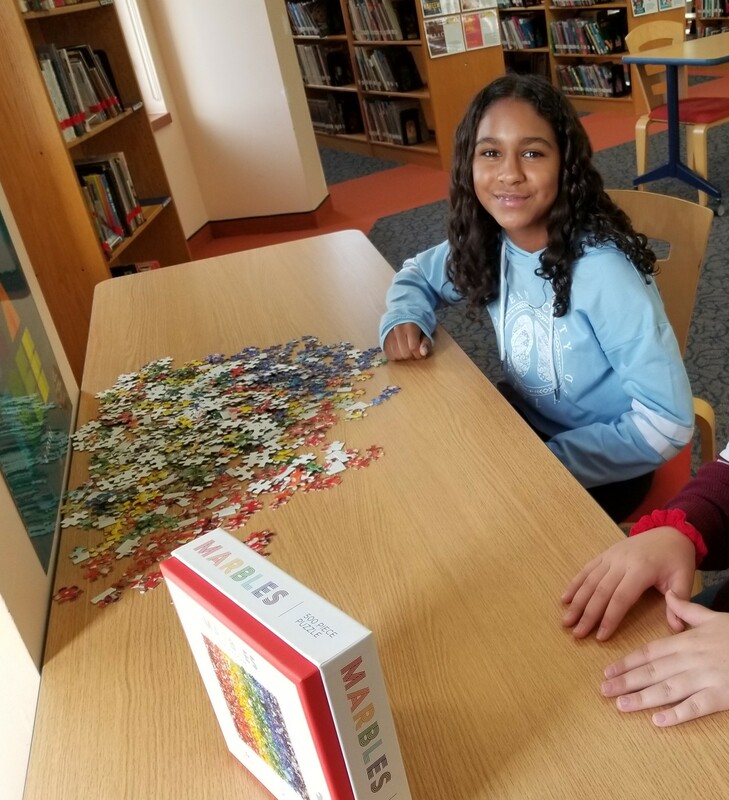 A board-approved curriculum elevates the school library program status to that of other content areas in the building, creating an equal playing field for partnership. School library media specialists often find their positions threatened and lack the evidence of a curriculum as the framework needed to safeguard their jobs. When an information literacy or library curriculum is in place, there is a demonstrated need for a qualified professional to teach it. With this in mind, the Ad Hoc Curriculum Committee has been established to gather best practice examples of library or information literacy curricula. The aim is to provide these examples to our members to assist them in advocating for and developing their own. Several members have shared curricula with us in the past, but now we need only those that reflect our new AASL standards. See below if you can help us with this critical work. This collection may also serve to support and inform the state in developing a new Information Literacy curriculum, which is currently known as bill HB A132 / S2933. NJASL consultant Mary Moyers has been working with legislators to pass this bill, which would require instruction on information literacy in grades K-12. Information literacy, as described in this bill, includes digital, visual, media, textual, and technological literacy, and the language of the bill specifically includes mention of certified school library media specialists. Look for a push in December when we will ask NJASL members to reach out to legislators in support of this bill. Do you have a board-approved curriculum that has been updated to reflect the new AASL Standards that you can share with us? Submit it here to share it with your fellow librarians. Volunteers are needed to be part of this year's NJASL Nomination Committee. The committee will be tasked with finding candidate for next year's NJASL officers. The positions that will need to be voted on in the Spring of 2019 are Secretary, Member at Large and Vice President. This committee will meet online, so the commitment time is minimal! If you are interested in joining the committee, please email Lisa Bakanas at Pastpres@njasl.org. If you would like to nominate yourself or someone else for one of the positions, please email! I hope to hear from you soon! Fantastic News! This school year's Battle of the Books three lists, order form and questions are now available on NJASL's website under the Members Only section. Committee members volunteer their time creating these diversified/multi-leveled lists and writing questions for all new titles. To access the questions, click the link below each level and a zip file will automatically download on your computer. If you've thought about starting this program in your own school, check out the Handbook also on this page. If you would like to join our committee, please contact Elizabeth Ullrich at eullrich66@gmail.com. 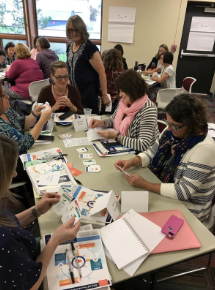 On October 16, 17, and 18, a select group of school librarians from across the state opened their doors for pre-service, rookie, and veteran teacher librarians to observe best practice programs in action. The third annual Rutgers School Library Bus Tour featured visits to elementary, middle, and high school libraries. 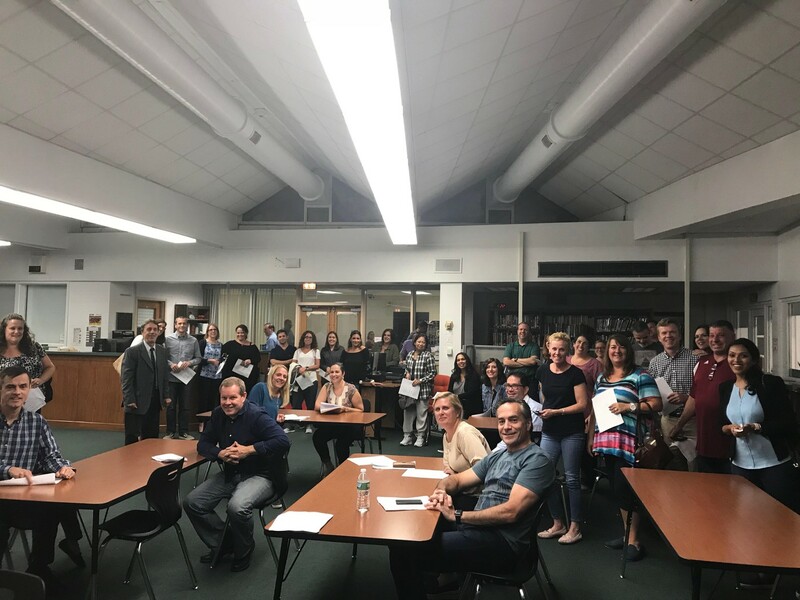 Schools hosting visitors this year included Brunswick Acres, Constable, and Indian Fields Elementary Schools, Crossroads and Melvin H. Kreps Middle Schools, and Atlantic City, Hightstown, Lawrence, Rancocas Valley, and South Brunswick High Schools. Visits were flexible and ranged from an hour to a full-day allowing visitors to observe “business as usual” in a busy library. The hosting librarians continued with their scheduled lessons and activities, but were available to answer questions about their work. Sharing is one of the best parts of participating as a host. 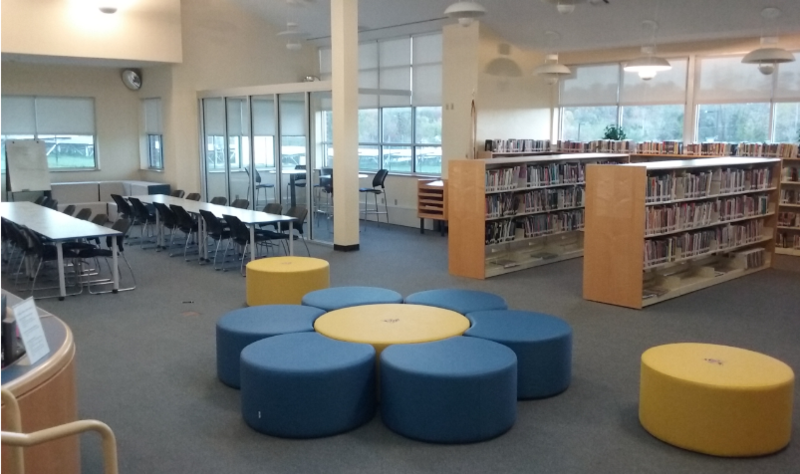 Amy Gazaleh, librarian at Hightstown High School, hosting visitors for the second year, noted that "showing prospective librarians my space and talking about my program allows me to see my work from a whole new perspective." The School Library Bus Tour is the brainchild of Dr. Joyce Valenza, Assistant Teaching Professor of Library and Information Science at Rutgers University. 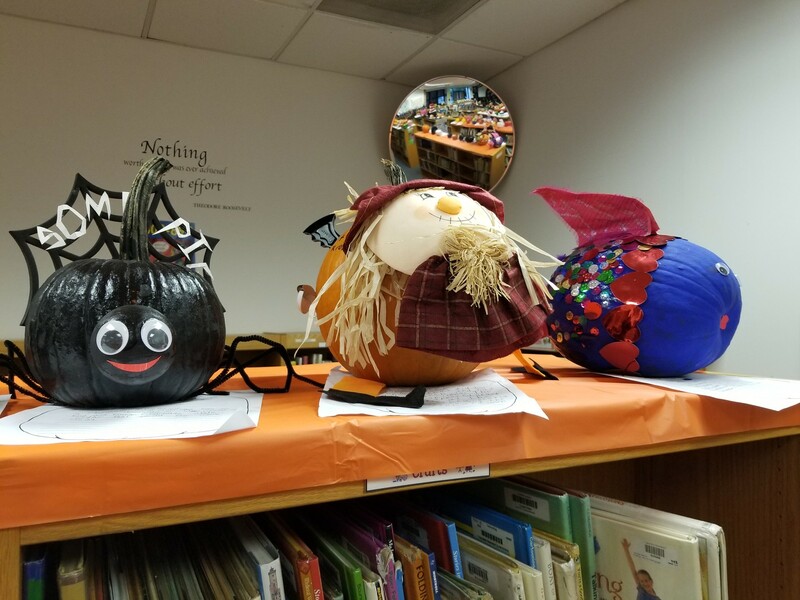 In 2016, Dr. Valenza partnered with South Brunswick School Librarians to allow her pre-service students to observe best practice. 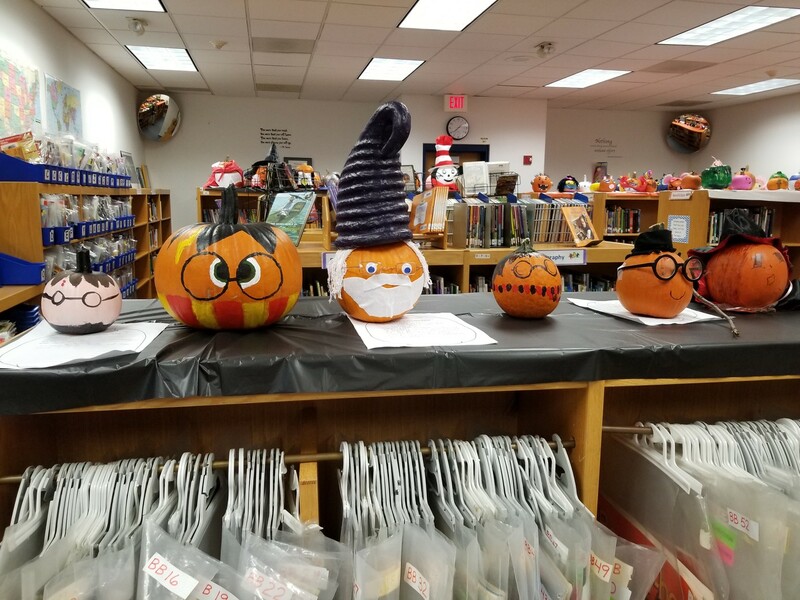 Dr. Valenza’s students visited the South Brunswick Libraries to see beyond their classroom learning and the limits of a single field experience. As visits are scheduled, students are encouraged to see the variety of levels and programs. To read more about the philosophy behind the bus tour, see the Never Ending Search blog post outlining the inaugural event. "I am truly grateful that our New Jersey school library community supports new professionals in this generous way. Students need to see the ceiling of what’s possible in practice. And I am delighted to be able to drive around and visit the outstanding programs on the tour. From their deeply integrated curricular partnerships, to their active reading cultures, to their dedication to whole-child learning and community engagement, the commitment of our innovative colleagues fuels my teaching, inspires my students, and confirms the value of school library vision and leadership in our schools. Let’s make sure we have some administrators join us next time around." Next Fall, we hope to expand the tour to cover more regions and best practice examples statewide. The dates and sites for the 2019 bus tour will be available July 1st. If you are interested in hosting visitors, please contact Lisa Manganello at lisa.manganello@sbschools.org or Joyce Valenza at joycevalenza@gmail.com If you are interested in visiting as part of the bus tour next October, watch for an announcement on the NJASL list-serve in July. On October 6, NJASL presented a train the trainer workshop at Westergard Library in Piscataway. This workshop was the vision of Christina Cuccia and she put together a stellar committee that helped to facilitate the day. As the past NJASL delegate to AASL Affiliate assembly I have been on the road (literally) providing county group training sessions to help school librarians explore the shared foundations of Inquire, Curate, Include, Explore, Collaborate and Engage. The new AASL Standards provide us with a fresh framework for supporting inquiry and creative thinking but not everyone has a deep understanding of how to transform their lessons using the new standards. Christina approached me to see if I would be willing to provide a train the trainer workshop that would empower leaders to begin the process of spreading out in full force around the state and providing support for individuals in their schools. continued country group workshops, (contact me for more information ladawnaharrington@gmail.com, book me or one of our committee members to present to your county group). Deb Schiano/Anastasia Hanneken, NJASL Co-chairs, Prof. Dev. Hardyston Middle School recently had a makeover!! Notice the pull away pedals of the flower hassock. The kids LOVE these! In the background you can see one of 2 glass walls that we've installed to create 2 smaller "rooms" within the larger space. Dry erase tables (on wheels) for class instruction as well as cafe style tables in the cozy rooms encourage collaborative work. Beyond the class tables, we have stadium seating against a window. This has become a gathering place for students to relax and catch up with friends. Our library has been transformed from a lonely room into a place where students and faculty come to work. I see students all day now. 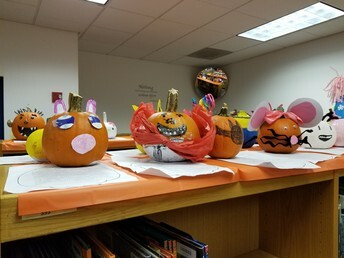 The library's Writing Club is very busy writing mini-sagas to present at our upcoming Halloween party. The library highlighted the Oct. Week of Respect with an interactive bulletin board and a display of our many books that address the issues of bullying and cultural tolerance. Sewing workshop introduced the art of sewing (and even ironing!) 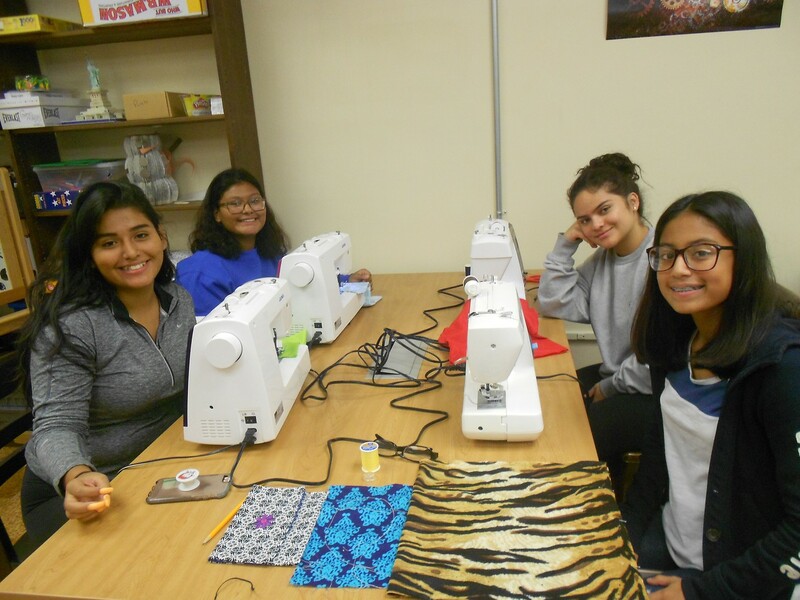 to many of our students who dropped by to sew throw pillows. This is a poster of our new principal, Billy Cunningham. 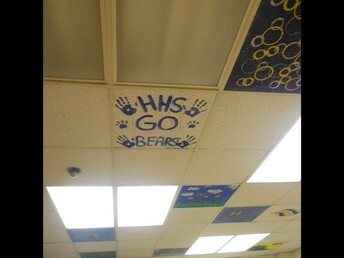 Other posters of teachers and senior students now decorate our halls. Mindfulness At Anthony Wayne Middle School! Our district goal this year is mindfulness. Having a puzzle for students in the library has been a big success. 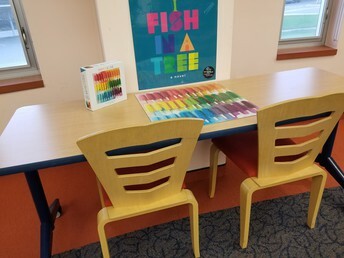 So big, that we now have a teacher puzzle table in the library as well, as per teacher request. Teachers are loving their puzzle table almost more than the students! Check out the awesome pictures below! Mr. Richter began the library media center's year of Digital Citizenship education by meeting with parents to discuss the goals of the program. Parents discussed a parent-child agreement that would facilitate conversations about these important Internet issues. 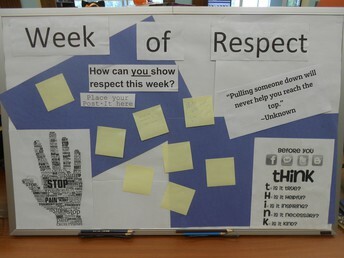 Teachers also began bringing their classes to the library for a series of lessons to enable students to explore the issues surrounding cyber safety and the ethical use of technology.The year long program enables every student to discuss the issues appropriate for their grade level. The incoming 8th grade class for example, learned about their digital footprint, online reputation, and how to write effective student emails to their teachers.Seniors began the year discussing privacy issues concerning their personal information online. All students complete a"Digital Citizenship Advice" Google form at the end of each lesson where they can briefly articulate a tip they would give about that days online issue. A new Must-Have for your Bookshelf! 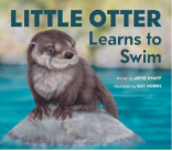 Little Otter Learns to Swim, the new book by Artie Knapp, is sure to become a favorite for readers of all ages. This beautifully written and illustrated (Guy Hobbs) book takes readers through the exciting learning, which Little Otter experiences with her mother. From swimming and floating to figuring out which forest dwellers are friends and which are foes, readers gain an insight into an otter’s life. Even better, at the end, there is a list of interesting facts about river otters to help you answer the many questions your youngster will undoubtedly ask. Little Otter Learns to Swim is the new must-have for your student’s bookshelf! Just a few weeks until the conference in Long Branch! We’re looking forward to seeing you all there. Now that we have the travel waiver, we hope you’ll book the hotel and stay with us, but our block of rooms is filling up fast! Be sure to check the website www.njasl.org/FallConf for more information, including the session schedule. With the help of Abigail Bacon from BELS Consortium as the tester, Arlen Kimmelman was able to create an editable template to create a customized infographic for school librarians to use to advocate for LibraryLinkNJ inter-library loan services with cost sharing. The template includes the Slides to make the flyer, the link to customize a chart, and the ability in Slides to print or download the Slides as a .pdf. 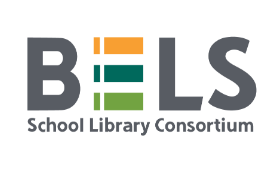 We hope having a compelling and accurate visual message will encourage school districts to accept the value and importance of contributing to the cost-sharing model of inter-library loan services for our students and staff. Mrs. Arlen Kimmelman, Ed. M., M. A. By the time this Bookmark comes to your inbox, I will be just returning from the AECT Convention in Kansas City. 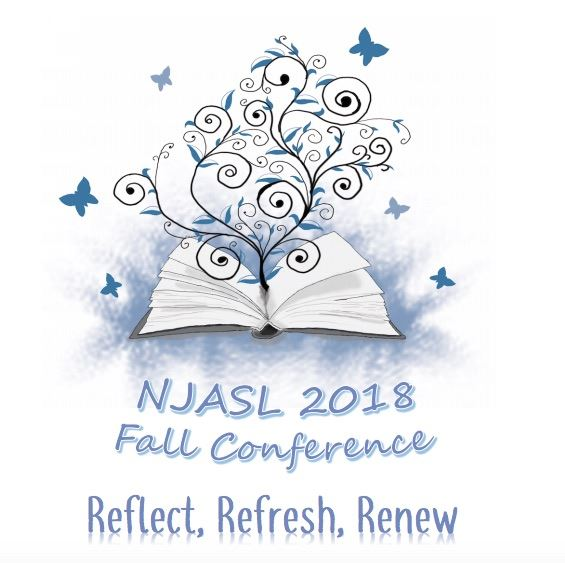 NJASL will be represented by Bruce DuBoff (NJASL Past President, 2017 AECT Intern and SMT Member-at-Large), Beth Thomas (NJASL Vice President and 2019 NJASL Fall Conference Chair), and Tara Collins (2018 Villy Gandhi Leadership Award recipient). Bruce and I will be presenting as well as Tara. A full report will be in a future issue of BookMark. At the AECT Convention, the School Media Technology Division will officially unveil their new logo. Also, they will announce their plans to investigate changing their name, vision and mission. The SMT Board says the thrust of their mission needs to be updated which also includes their name. They will still include School Libraries in their mission and vision. In fact, quite a few of the workshops being presented at the AECT Convention involve School Libraries and Librarians. They are supportive of us! AECT will be at our Fall Conference, I hope you will stop at their Booth and meet President Trey Martindale (a very tall guy)! This month, in response to a member's twitter request (shoutout to @LMCReaders) I'd like to share a recent article from ISTE's online publication, Empowered Learner. We all do, argues a new breed of librarian. The no-nonsense librarian with a cardigan and reading glasses, stamping dusty stacks of books and ssshhhing giggling teens is a relic of the past. 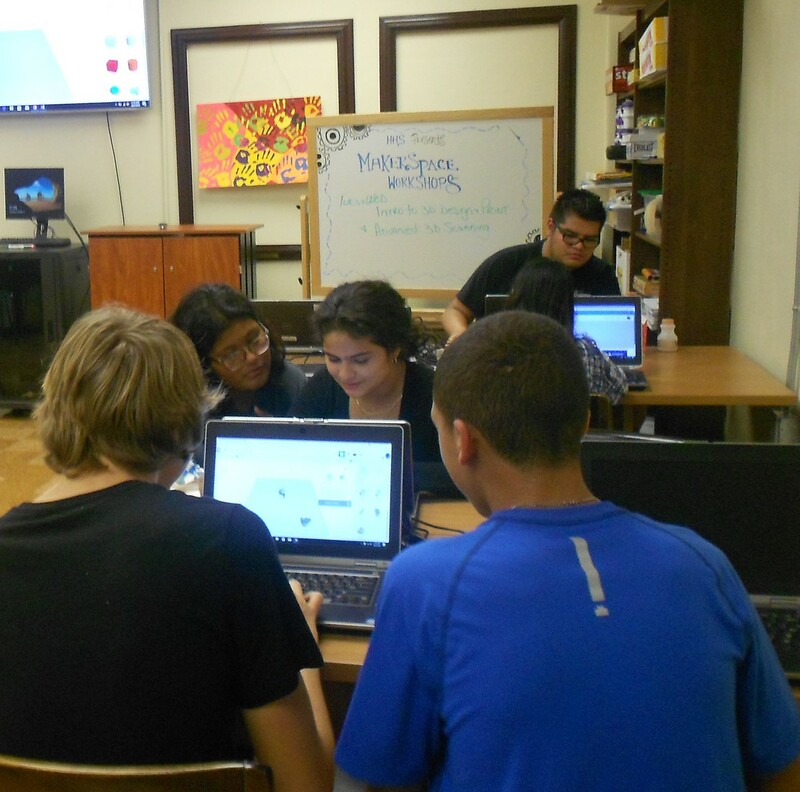 These days, librarians are more often found showing students how to use a Makey Makey kit, helping someone detect whether an article is trustworthy or facilitating schoolwide teacher training on the new learning management system. While librarians are still likely to be the ones who lead story time programs, share a book series that ends up a favorite or help find just the right article for a senior research paper, many libraries are also makerspaces or flexible student learning spaces where librarians facilitate future-ready skills and bring schools into the digital age. Continue reading this article HERE! 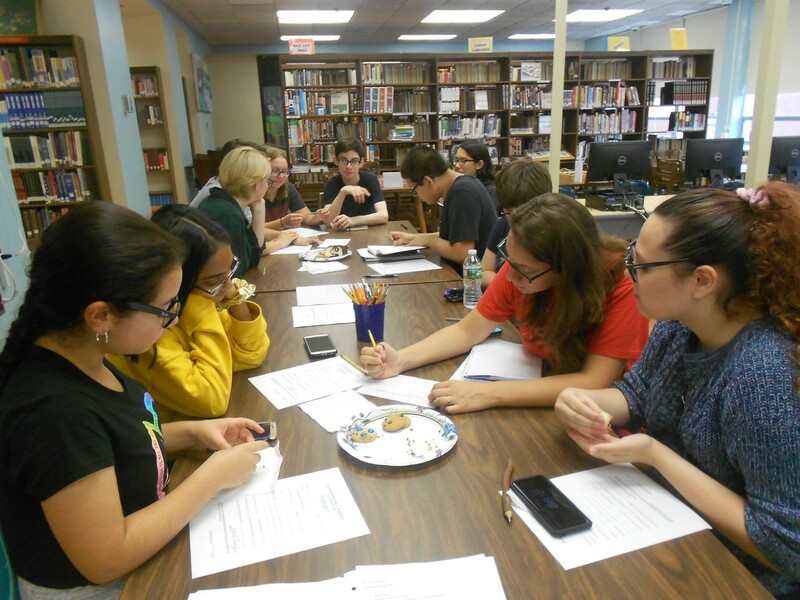 Our first meeting took place on October 16 and was attended by librarians representing elementary, middle, and high school populations. In discussing needs of our members, those present expressed an interest in programming for their populations. Programming? Who has time to program? WE DO. And, our students need programming in our school libraries – it’s what brings them back for more. So, if you aren’t programming, maybe this is something to think about – a program that involves your entire school community – a One Book One School (OBOS) Event. We know what you’re thinking – a school-wide program is a lot of work. Well, yes, but it’s also a great way to bring your community together. 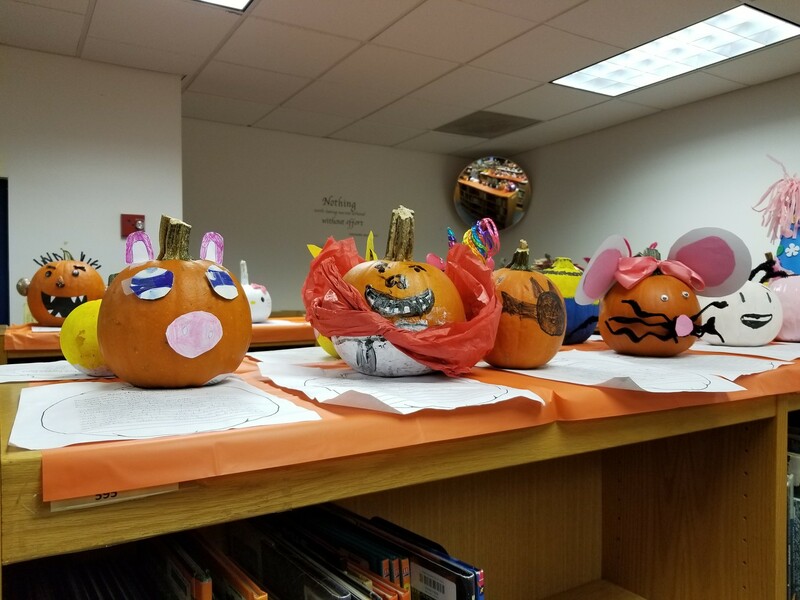 While there are many AMAZING OBOS programs (think Seneca High School in Burlington County), you CAN host a OBOS event on a smaller scale that still has a great impact on your students. 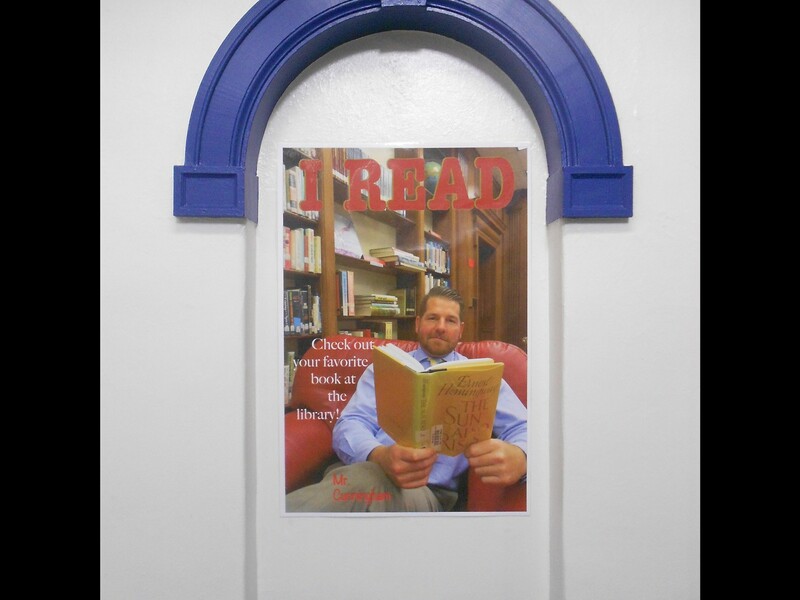 Our One-Book-Jeffrey Clark (OBJC) program promotes literacy and “reading for the fun of it”. This annual event is held the first week in May, in conjunction with Children’s Book Week. Our Home & School Association supports this endeavor by presenting every Jeffrey Clark student and teacher with a free copy of the chosen title. Kindergarten through 2nd grade students read a chapter book, while Pre-K students read a picture book featuring a similar theme, or character. OBJC embraces the idea of a whole-school read aloud and celebrates books and recreational reading. Spirit events, extension activities, and trivia contests are held each day in keeping with the theme and/or characters of the book, beginning with our annual “Dress Like a Book Character Day”. For one week, every student and teacher in our school is reading the same book; the "book buzz" is amazing to behold! In addition to the benefits students gain by hearing stories read aloud (better listening skills, bigger vocabularies, better understanding of key details in a story), our event also fosters a bridge between school and home -- students bring their books home to share with their families, and communication sent home to families encourages them to ask questions of their student about the day’s readings. While Jeffrey Clark School creates its own extension activities around its chosen titles, other schools participating in OBOS events utilize resources and services provided by organizations such as Readtothem.org. Readtothem.org offers resource packets for many titles of varying reading levels for OBOS events as well as events for full districts. If you’re looking to start a OBOS event, involve members of your school community in the conversation. Think about what you want out of the event and then go for it! Future meetings for TriCSL librarians will cover topics such as PDP goals, Battle of the Books, Readers’ Advisory, Professional Development, Poem in Your Pocket celebrations, MS & HS programming, and much more! For more information on TriCSL, please contact Theresa Wordelmann at twordelmann@gmail.com or Faith Ralph at fralph@mantuaschools.org. 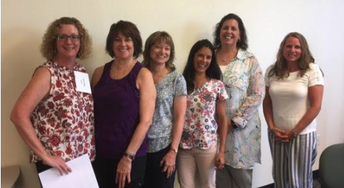 On October 18, 2018 members of the Union Middlesex Association of School Librarians (UMASL) held their first meeting of the year and a professional development session. UMASL works to help school librarians that work in Union and Middlesex County receive professional development that is related to their career and also give librarians a support network so they have people to reach out to. Our first Professional Development was exciting. Barbara DeSantis spent time teaching us how to create our own Digital Escape Room. 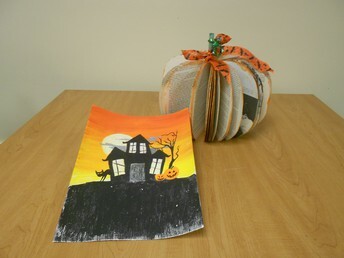 This is an activity that can be done in groups and with students from second grade on up. Barbara discussed how this can be done in any content area and how to limit questions and plan properly. The one thing that stuck out with this is that the Digital Escape Room involves 99% planning and if you plan properly putting the pieces together is easy. Barbara emphasized the 4 points to an escape room. They are the scenario, the lock (question), the key (answer) and the clue (hint). Barbara talked about how sometimes this might not work and you should have someone test it before you place it in your students hands and ways students might try and figure out the answers. We also received some ideas for how students can find the key. 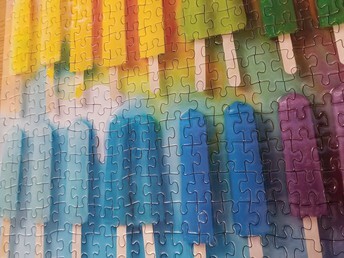 Including puzzles, quizzes, and other things students will be interested in doing. Barbara went on to show how to create the google form so the data validation is correct and how to put different responses when the answer is wrong. To join UMASL and attend some our sessions visit our website at: https://umasl.weebly.com/. UMASL hosts 3 meetings a year that all include Professional Development and the meeting is included with your membership. Our spring meeting includes a dinner that the members pay for. If you want to find out more we will be at the NJASL Annual Conference and at the Engagement Session. Get Involved in Future Ready Schools. Check out their latest newsletter by clicking here! Don't forget that we are always looking for entries from ALL membership. Deadlines for the year are on the 15th of every month. Check out more information about our deadlines here. Please share articles with me at the bookmark@njasl.org email address by sharing a Google Document or PDF. Check out more information about deadlines and submissions on the Smore linked below! !